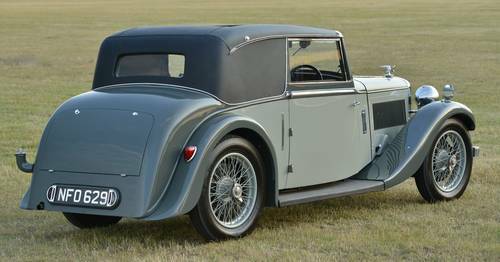 Vintage and Prestige Fine Motor Cars are proud to be offering this 1935 Alvis Silver Eagle 2 Door Coupé for sale. 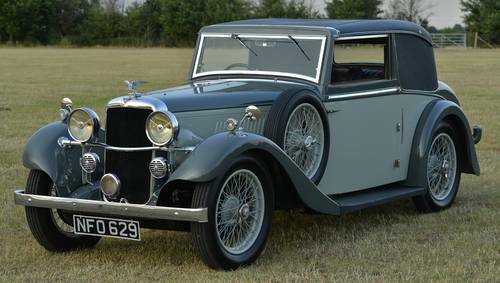 An unusual Alvis Silver Eagle 2 door coupe with coachwork by cross & Ellis. Two were built to this design and we suspect this model to be the only survivor. Much money has been spent on the Alvis Silver Eagle 2 Door Coupé to bring it to the condition we find it in today. 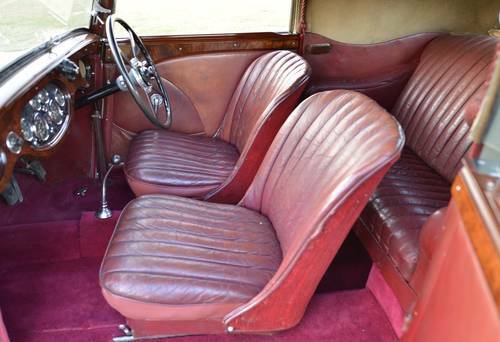 The original maroon leather interior has been preserved and is in fine patinated order. The Alvis Silver Eagle 2 Door Coupé is finished in a very period two tone grey colour scheme that suits the car very well with the paint being of recent origin and in fine order. The roof covering is of rexine fabric and again, is in excellent shape. This is a car which was in one family ownership from registration in 1935 until 1960 when it passed to an owner in Lincolnshire who took it off the road in 1962. In 2012 it emerged and since then has had the works done. Mr. William Beattie of Lochgilphead acquired the car (the V5 shows his ownership as 01/07/2014 but we think he acquired it earlier than that). 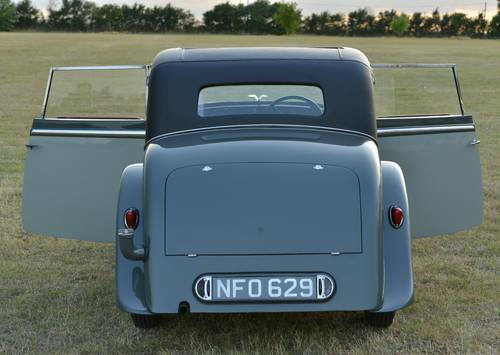 He undertook a panel, paint, plating, roof, sunroof and interior restoration and also rebuilt the radiator, water pump, cylinder head, exhaust system and road wheels. 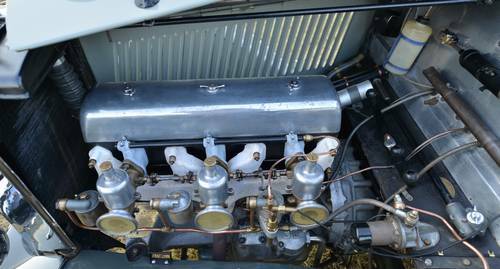 The current owner had the Alvis Silver Eagle 2 Door Coupé rewired and the dynamo and control box rebuilt and then removed the sump (in view of the time it had been off the road) and fitted a new set of pistons. The interior woodwork has been restored and the brakes stripped and reassembled and carried out a full lubrication service. Thus it is now complete and running nicely although it needs some miles to shake it down and run it in. The 2.4 Litre six cylinder engine starts readily and pulls strongly providing surprising performance from its 70 or so BHP. 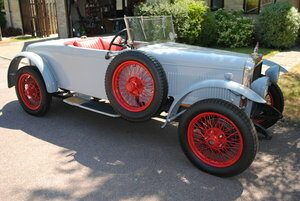 It is equipped with triple carbs and makes a very sporting alternative to a Derby Bentley or a more staid Rolls Royce. The gearbox, an Alvis strong point, is a pleasure to use benefiting from superb synchro-mesh making it a pleasure to drive. A traditional Alvis Eagle adorns the bonnet, wings outstretched. The car has four new tyres fitted and sits on rebuilt wire wheels.